It’s always this time of the year when you want to snuggle up on the couch and read a good book. 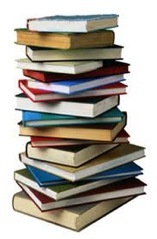 Yet, it seems so difficult lately to go out and find a good book to sink your teeth into! 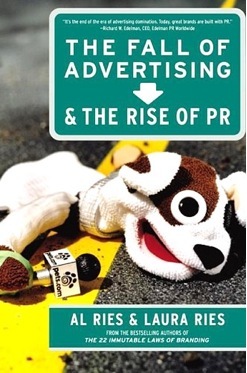 One book that I recently read is, “The Fall of Advertising and the Rise of PR”. This isn’t your typical novel because the book is a non-fiction story that gives real life examples of companies such as: Coca Cola, Altoids, Nike, and Heinz. Each company is given a brief background of where they started, and how they used PR to succeed, or failed by using just advertising. What I like is the book isn’t biased either, it does show examples of when PR failed, or when advertising succeeded in creating a company, but these cases are rare. The book gets straight into the subject, “You can’t launch a new brand with advertising because advertising has no credibility. It’s the self-serving voice of a company anxious to make a sale. You can launch new brands only with publicity or public relations (PR). PR allows you to tell your story indirectly through third-party outlets, primarily the media. PR has credibility. Advertising does not. PR provides the positive perceptions that an advertising campaign, if properly directed, can exploit” (Ries & Ries, XI). There are five parts to this book, the first titled ‘The Fall of Advertising’ where it talks about how there is an overload of ads, with no credibility behind them. You could see an ad saying that a new car is the best on the road, but would everyone truly believe this car’s claim to be the best? A lot of advertising companies choose to use ads for entertainment purposes these days; this isn’t what advertising should be used for. Companies are making ads just to win awards, and not using it to connect brands with a concrete message about the product/service. Part two of the book is titled ‘The Rise of PR’ and shows readers how PR is a third party way to get a brand’s message across, which can be less biased than the company putting out their own ad. Of course they believe their product is the best and want their consumers to believe that too. Part three is about the new use for advertising: Brand maintenance. This is when a company has report, and is able to use ads to keep their company relevant in the consumer’s minds. Part four and five then further discuss the differences between advertising and PR. This book was great insight into new techniques that can be useful in helping our clients. However, this read wasn’t just for professionals, it is so engaging that almost anyone would label it as a ‘good read’. We want to know, what did you think of the book? Write a comment below with your own review!